Okay, so you’re struggling with your putter? It means you struggle with your consistency? One minute you’re doing 8 footer, the next minute you miss a simple putt is just the 3ft range. More often than not, the consistency of your shots depends on a proper putting grip. Putting may be one of the most difficult parts of golf, but learning to putt well can shed strokes off your game. The putting grip is a matter of choice as you can hold your putter in a multitude of ways. However, there’s no absolute right or wrong way a golfer should or should not grip a putter. By improving the way you’re gripping your putter you’ll be able to control your putter head more effectively and become more consistent on the greens. Remember, what happens at the bottom end of your putter is determined by what happens at the top end of your putter. But not all putting grips are the same, not even the ones for which you place your right hand below the left in conventional fashion. But what all putting grips have in common is that the palms of both hands face each other so your hands can work together. The last thing you’d want is your hands fighting with each other. Reverse Overlap – This is one of the most common putter grips and as the name suggests, the left index finger rests on top of the right little finger (for right-handed golfers) instead of a normal overlap grip where the right little finger rests on top of the left index finger. This has you placing your entire right hand on the putter grip and overlapping your some of the fingers on your left hand over your right hand. Both thumbs are centered on the flat part of the grip, facing down toward at the head of the putter. This type of grip produces increased feel with the putter, which is particularly useful on inconsistent greens. This grip is similar to a standard overlap girl used on full shots, which helps maintain a consistent feel from full shots through putts. Left Hand Low/Cross Hand Grip – The left hand putting grip has been used by pros since the 90’s. The left-hand low – also known as the cross-handed putting grip – is where your left hand is placed on the putter below the right hand (opposite of a normal grip) for a right-handed golfer. This places the left hand lower than the right hand, which allows the left hand to have more control over the putter and prevents hinging of the left hand during the stroke. 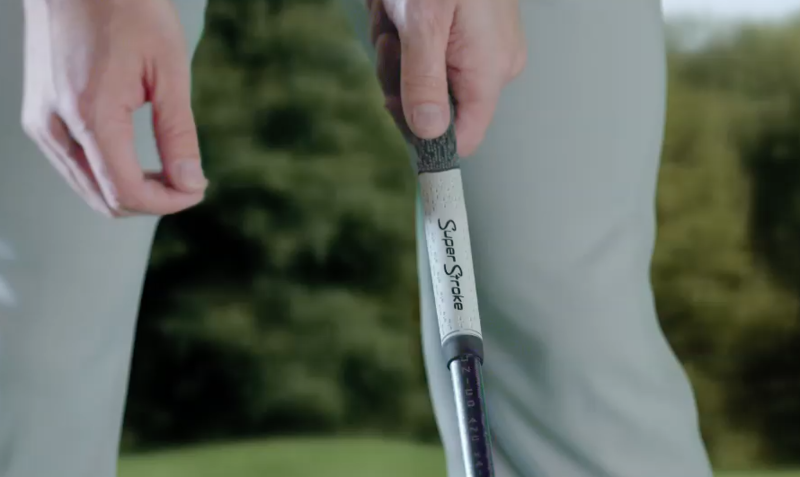 It is ideal for the left and right thumbs to rest on the top of the putter grip to provide additional stability. This provides an excellent grip for golfers who fight an overactive right hand (or left hand for left-handers) during the stroke, plus lining up and keeping the face square is easier with this grip because the left hand is closer to the head of the putter. Arm Lock – The arm lock style gets its name from how the putter stays connected to the golfer’s lead forearm throughout the putting stroke. With the arm-lock putting grip, the handle of the putter locks against the inside of the left forearm (for right-handed golfers). The golfer presses the grip against the lead forearm (beneath the elbow with significant forward shaft lean) which keeps the putter head from rotating too much through impact. The player may use any putting grip with the arm lock method so long as they maintain the forward angle of the putter through the stroke. This method always keeps the hands ahead of the ball through impact. The Claw – The putting grip known as “the claw” has grown in popularity since the early 2000s, so much so that more pro golfers are using the claw now than the cross-handed grip. To try this putting grip, start with a standard putting grip. Turn your right palm toward you and bring it to the putter’s handle so that the handle touches the spot between your thumb and index finger. Then bring your index and middle fingers to the shaft, leaving your ring finger and pinkie off. There are many variations of the claw on how your right hand is placed on the putter. However, your left hand will always grip the club the same way, making sure that the thumb rests flat on top the putter grip. Because the right hand is in a passive position, it will increase the grip pressure of the left hand. Even if you don’t use the claw grip during a standard round of golf, using the claw grip during a practice session can help you sense the proper grip pressure with the left hand in the stroke. 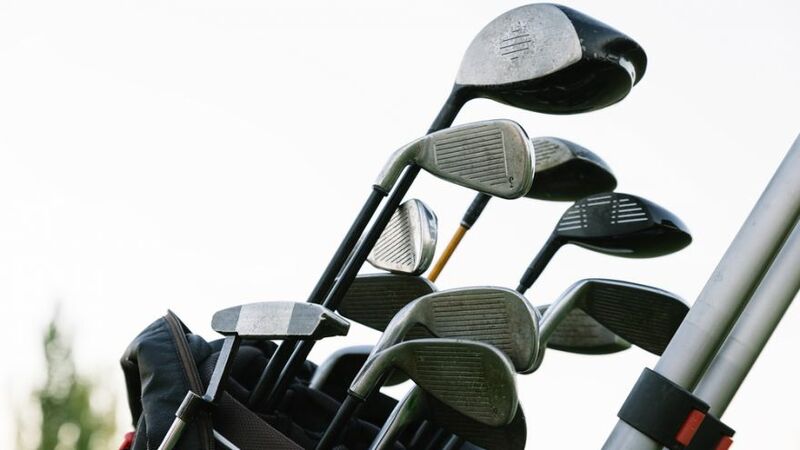 Whatever putting grip you decide to use, you must always grip the butter lightly and be careful of your right shoulder and use your shoulders as a pendulum for your arms. The best way to make that your shoulders are making your arms move is to tuck both elbows into your sides and only turn back and forth with your shoulders during your putting stroke. 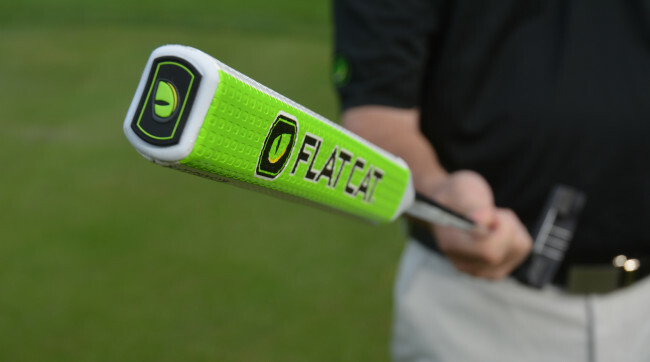 The most important thing to remember is to use a putting grip that suits you the most. Always try different putting grips to help decide which grip feels more comfortable and offers you the best control. It will take some getting used to, but after that putting becomes a breeze.